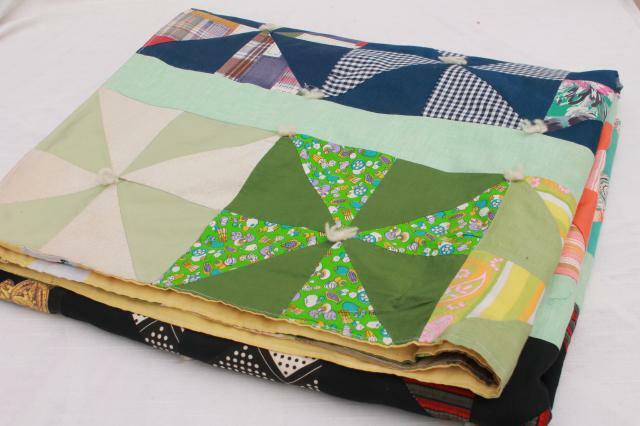 Lightweight hand-tied quilt 'bedspread', never used, very nice! 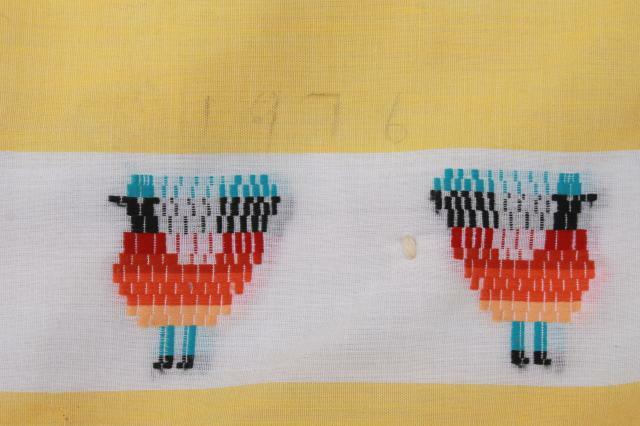 This is dated 1976 in pencil. 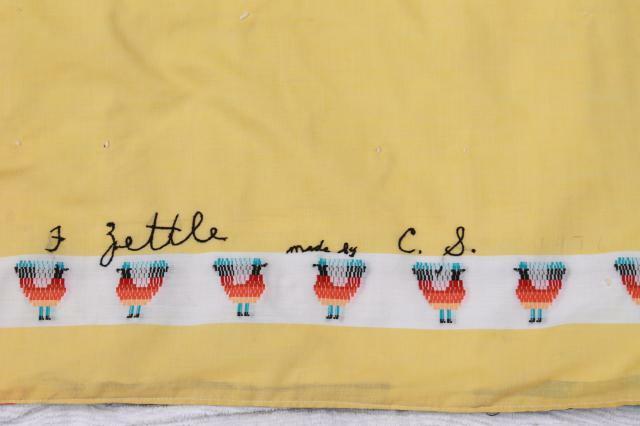 The fabrics are mostly all cotton, over a light fabric filling. 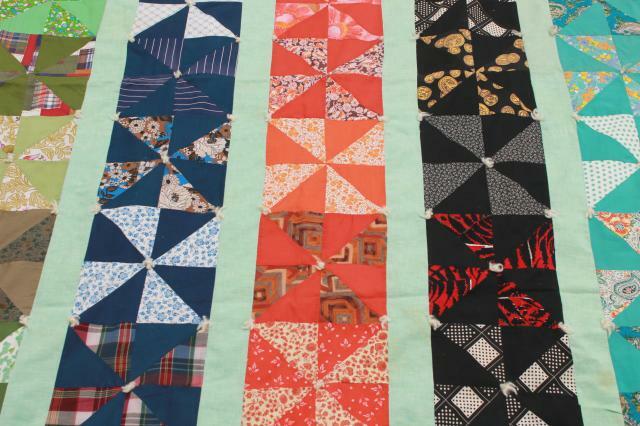 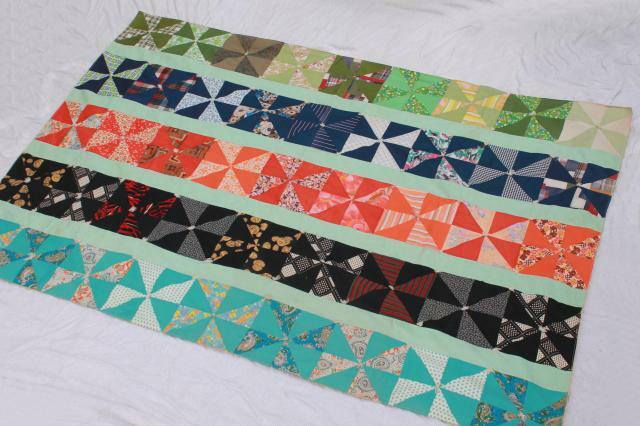 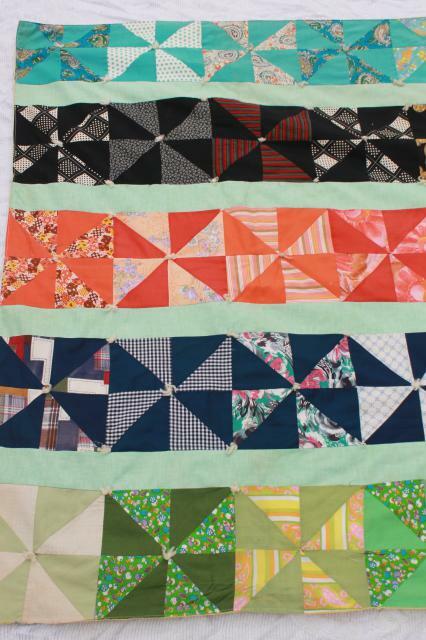 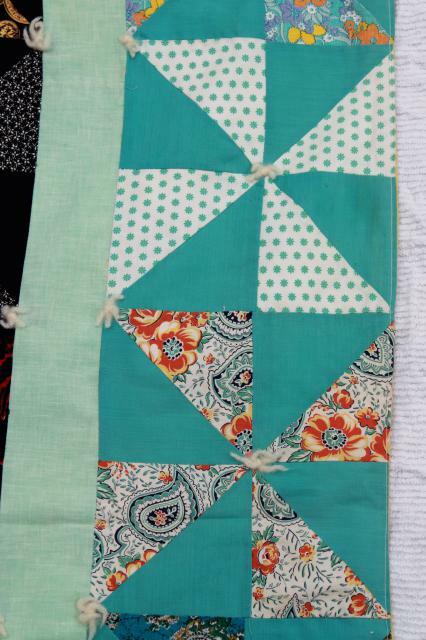 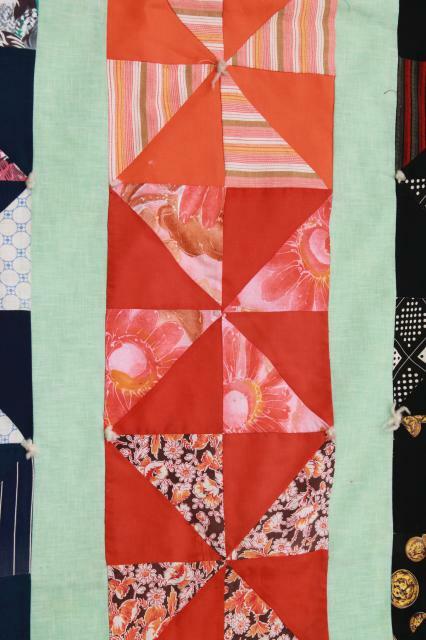 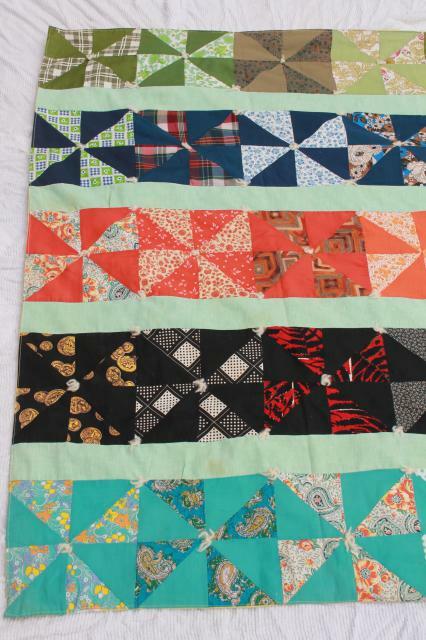 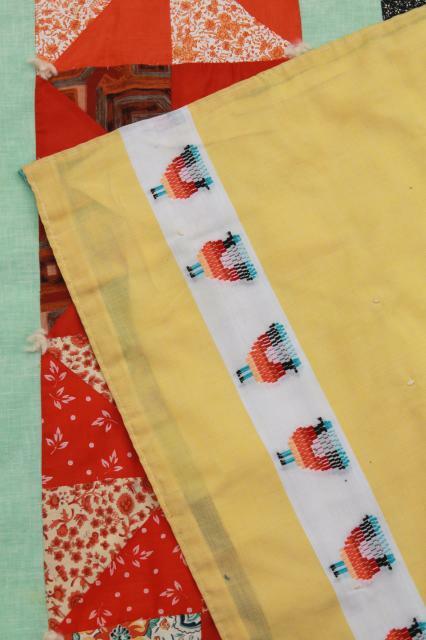 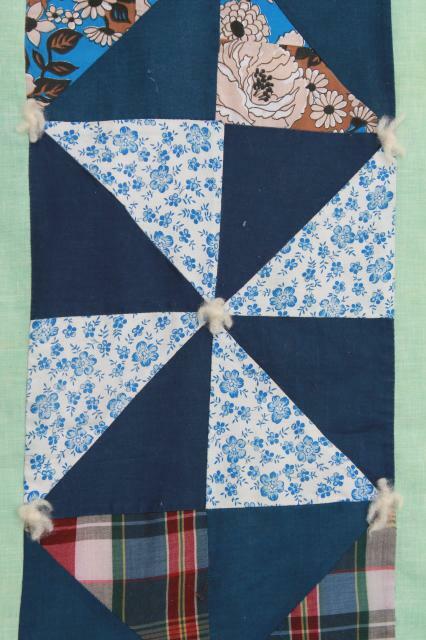 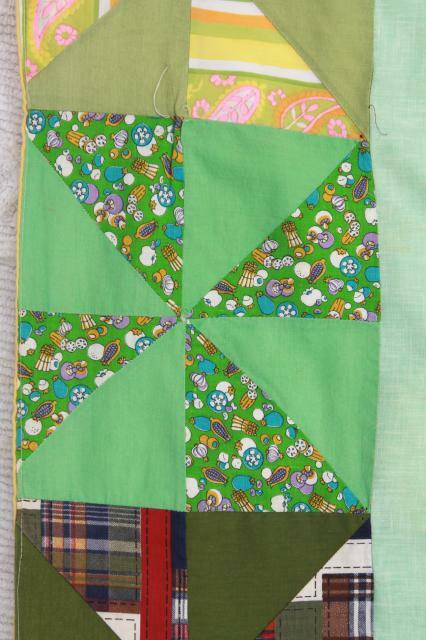 It's pieced patchwork blocks in a pinwheel or windmill pattern, with a solid colored yellow backing fabric. 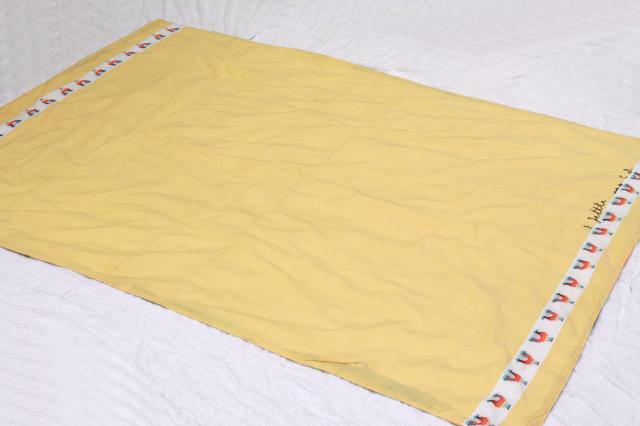 Size is 52" x 76", and condition is very good - no wear or fading at all, and just a few small soil marks from storage over the years.